Garage Door Service Company in Aurora IL - Call for free estimate now! Our technicians are ready to help our customers with various garage door repair services, including broken cables, garage door spring replacement, weather seal replacement, bent tracks, roller replacement, garage door opener repairs and all garage door parts. 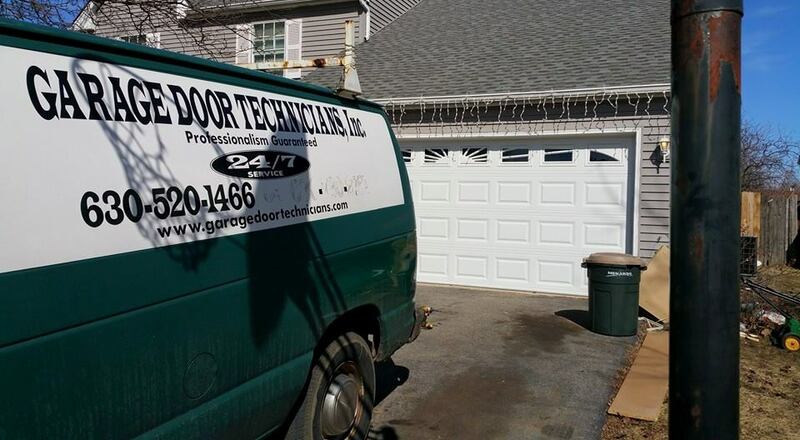 You can reach us at 630-520-1466 or writing to us at service@garagedoortechnicians.com. You can also visit our webite <www.garagedoortechnicians.com> for further information on our services, products, and coupons. Our operation hours are: Monday-Sunday from 8:00-10:pm. We also take emergency calls 24 hours. Contact us today to schedule a free estimate for your garage door repair services, or if you have any further questions. Garage Door Technicians: Providing services to residence in Aurora IL, Naperville IL, Oswego IL, Montgomery IL, Plaintfield IL, and surrounding areas.